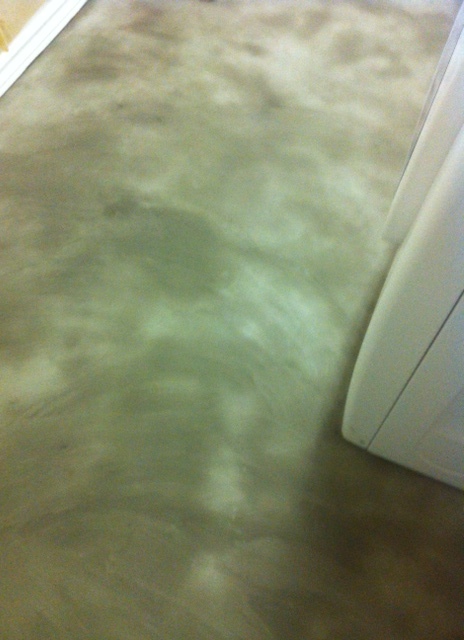 Are you a home owner with a Stinky Washing Machine? Not to worry, you are DEFINATLEY NOT ALONE! 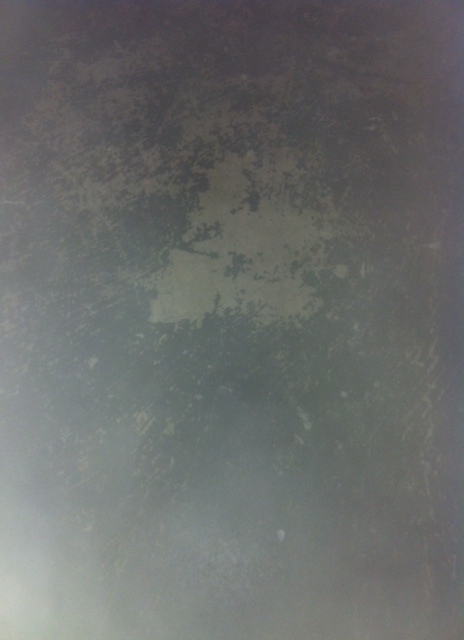 Washer mildew and odors are one of the most common complaints. Interestingly enough, some washing machines have the susceptibility to smell bad due to their design. Bad odours from a dirty washing machine can actually transfer on to clean clothing. 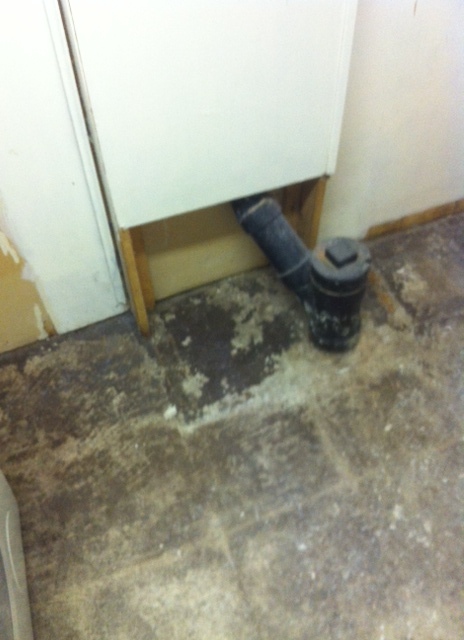 Hard water causes lime buildup in the washing machine parts and plumbing. If you live in a humid climate, consistent moisture in the air prohibits the washing machine from completely drying between loads, causing mildew and stale and musky odours. 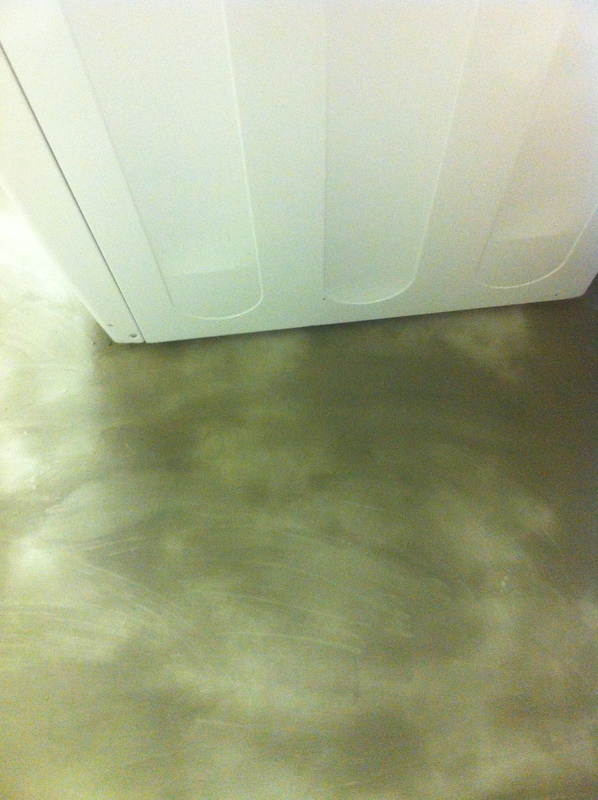 Repeatedly, soap detergent and excrement splash upwards, resulting in leaving behind grime on parts if the agitator and wash bin that are usually located above the water line. These instructions will assist in killing mold, mildew and keep foul-smelling odours away in your Top Loading Washing Machine by using natural ingredients which is safe and can be used on all washer components. 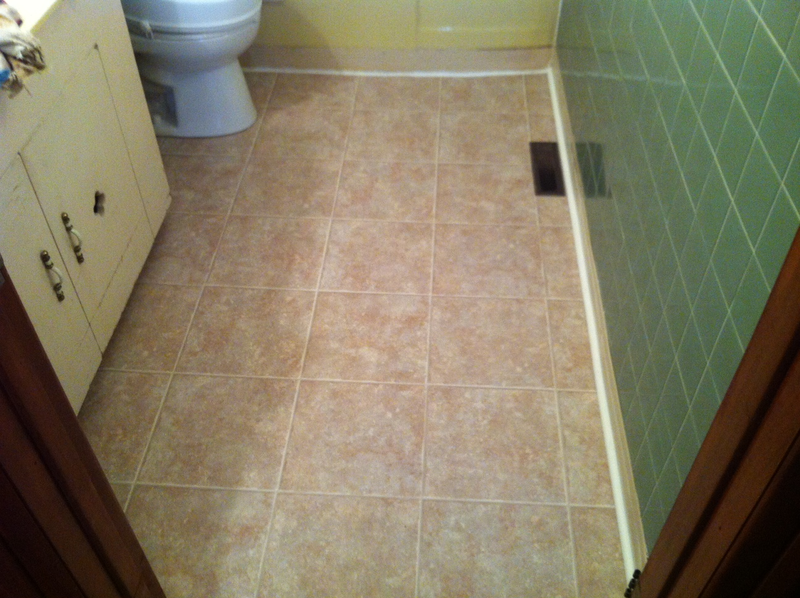 There are two common house hold ingredients required for this process. White Vinegar and Baking Soda. 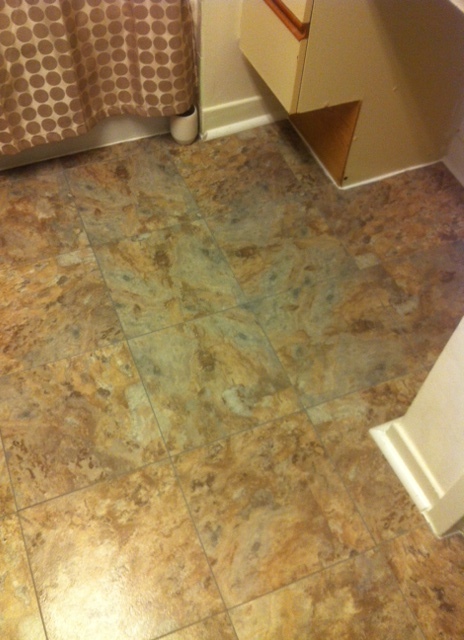 White vinegar will help disinfect by assisting in killing mold and mildew. The acidity in the white vinegar will help dissolve the soap scum and residue in the tub along with dissolving lime deposits in the pipes left behind from using hard water. 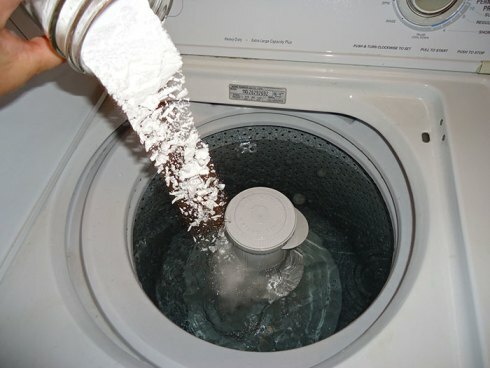 Baking soda cleans and deodorizes. NOTE: DO NOT ADD CLOTHES OR DETERGENT DURING THIS CLEANING PROCESS. Choose you washing machine setting to run on Hot with the largest load setting. 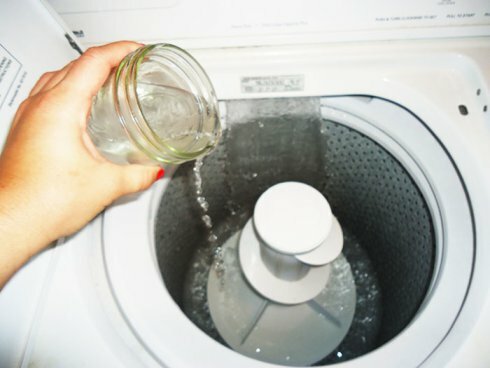 Add anywhere between 3-4 cups of white vinegar to the water and let your washing machine agitate for about 2 minutes in order to disperse the vinegar evenly. Now add 1/2 cup of baking soda. 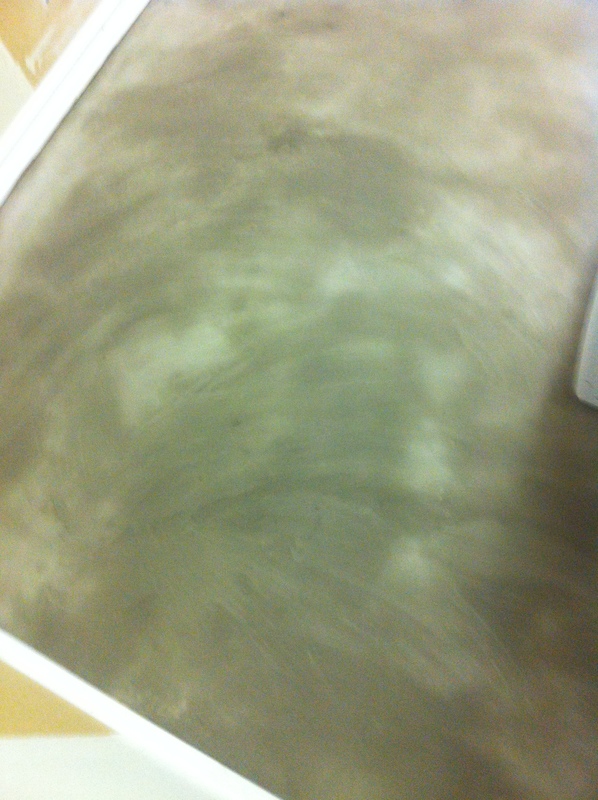 Allow the machine to agitate again for about 2 minutes to incorporate the baking soda evenly. 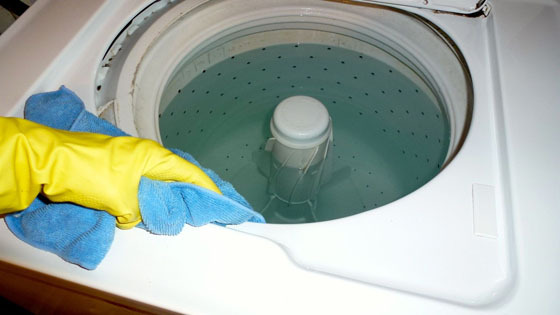 Stop the machine washing cycle at this point and have the water sit for approximately 30 minutes to 1 hour. As the vinegar, baking soda and hot water are working, doing their job by penetrating grime and odors, use a clean cloth that has been dipped into the vinegar water and wipe down the entire washing machine. 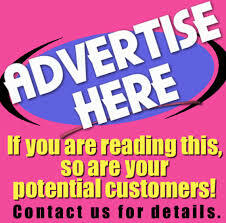 Pay special attention to the top of the washing machine, the knobs and dials, the top of the wash bin and any fabric softener and bleach dispensers. Allow the washing cycle to resume until the water begins draining. 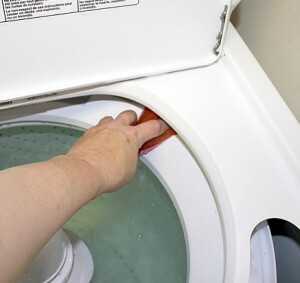 If your washer will allow it, turn the knob so the tub will drain while spinning, further cleaning out any gunk that has been loosened up and pushing the vinegar water through the holes in the wash bin. If your washer doesn’t allow this, start another hot wash cycle at this point and allow it to run through completely. Congratulations! You have just washed your washing machine naturally! Leaving your washing machine lid open will allow the drum to completely dry and prevent mold and mildew odours from developing. 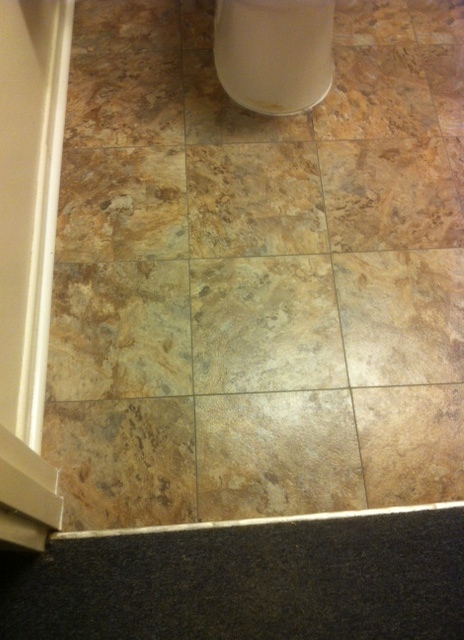 For best results, implement a cleaning maintenance routine monthly. Always remember to remove your load of cleaned laundry as soon as the wash cycle is completed. 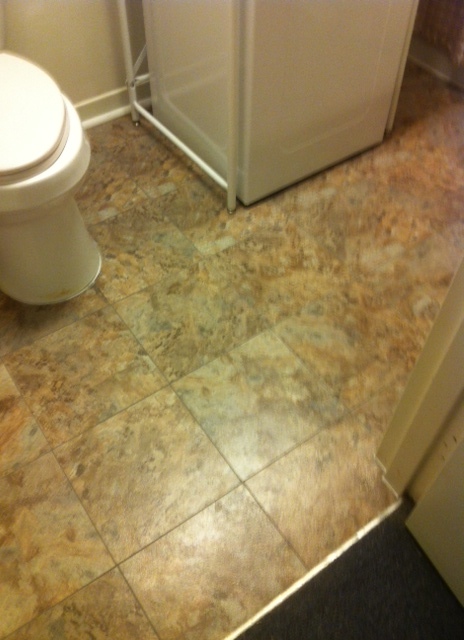 This helps prevent the musky mildew smell from developing in your washer. 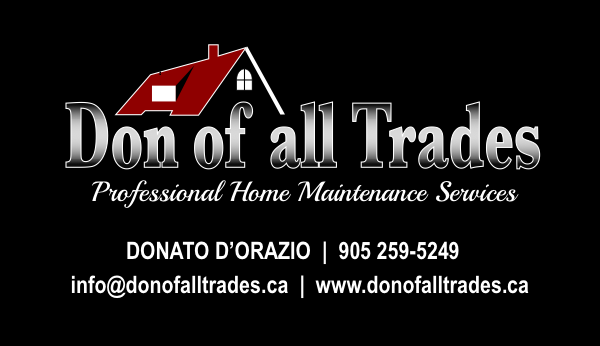 At Don of All Trades Professional Home Maintenance Services, we understand not all projects are the same. 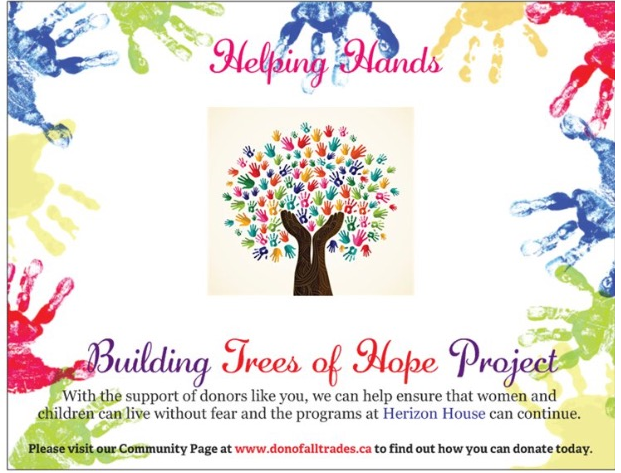 Every client has their own needs and budgets that suite their purpose. 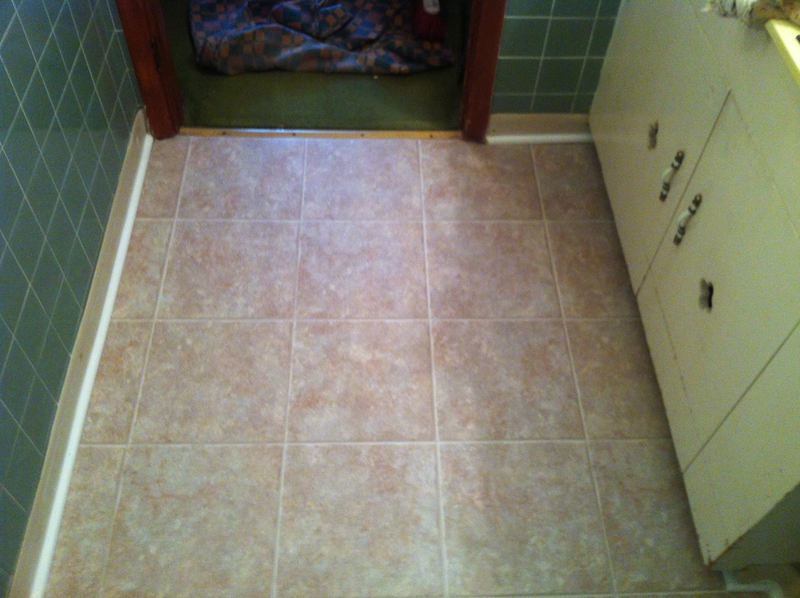 Weather it’s an entire #kitchen #remodel, #bathroom #upgrade, #painting, #carpentry, #deck #installation, or something more simple as a clean up of a #laundry #room as shown in the photos below, every project is unique. 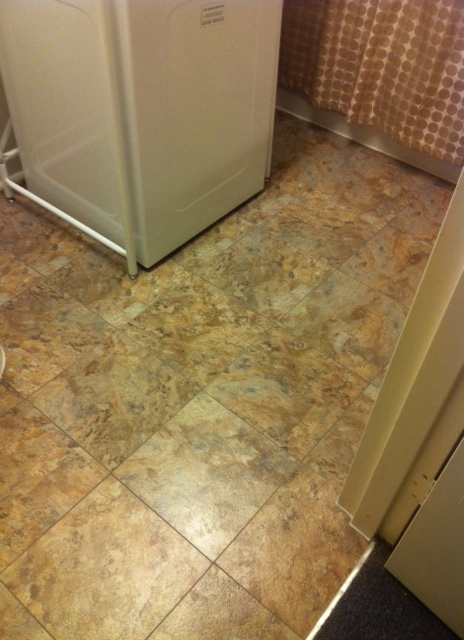 We were hired by a client who wanted their laundry room cleaned up and designed to be more functional. 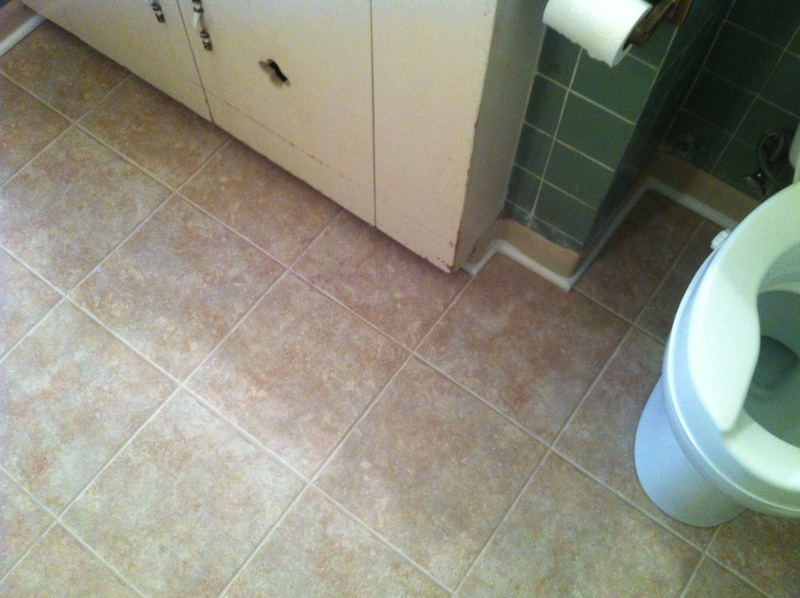 In the past they had a leak and had it repaired. They were worried about mold behind one wall so I opened the wall up and thankfully there was no mold from the previous water damage. 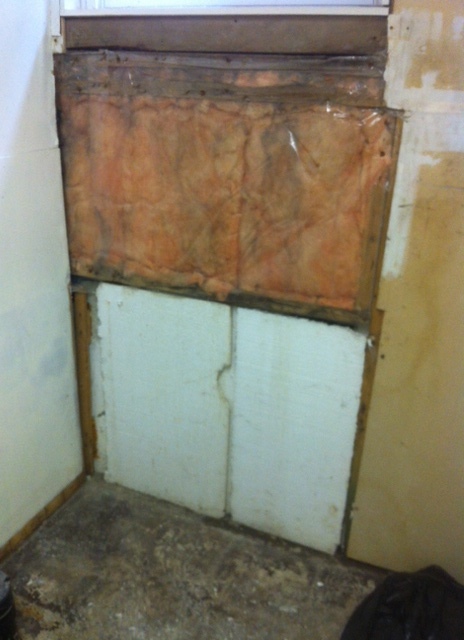 I insulated, put vapour barrier and closed the wall back up and re dry walled. 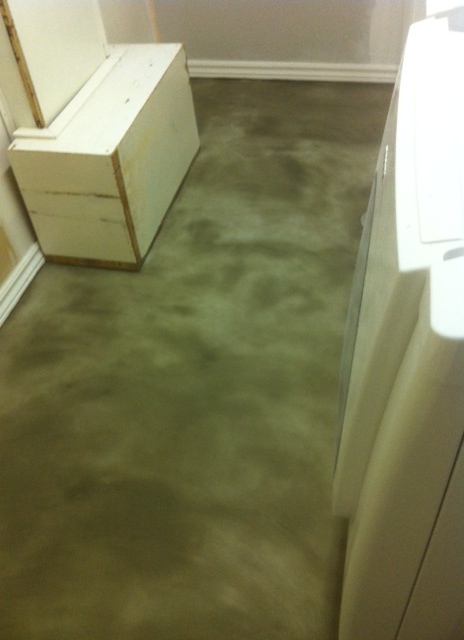 Along with #installing new #baseboard #trim, moving the #washer and #dryer, I refinished the #concrete #floor. 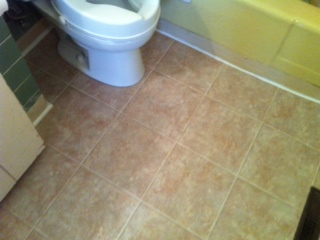 At the end of the day, this laundry room was definitely cleaned up and more functional and our clients were very happy!